Subjects of this study were Catholics and Protestants from Northern Ireland. They included six adults and thirty children; the children were aged between five years and twelve years. Using a mixture of arbitrary and socially loaded stimuli, subjects were taught four conditional discriminations. They were taught firstly to select stimulus BI (arbitrary stimulus) in the presence of A1 (Protestant stimulus) and to select stimulus B2 (arbitrary stimulus) in the presence of stimulus A2 (Catholic stimulus). They were trained then to select stimulus Cl (Catholic stimulus) in the presence of BI and to select stimulus C2 (Protestant stimulus) in the presence of B2. An equivalence test was administered subsequently to determine whether these Protestant and Catholic symbols had become related through symmetry and transitivity. 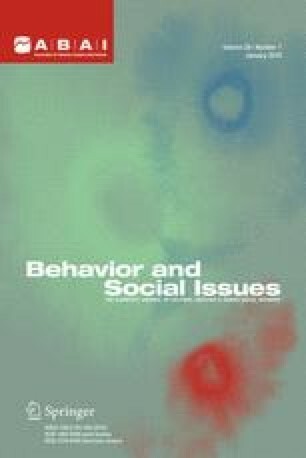 Additional tests were administered using arbitrary and nonarbitrary novel stimuli to determine if socially learned relations would compete with the emergence of equivalence relations. Findings suggest that prior social learning can result in equivalence responding not occurring in the testing phase. This research was conducted in part fulfillment of the first author’s requirements for the degree of Bachelor of Science at the University of Ulster, under the supervision of Dr. M. Keenan.